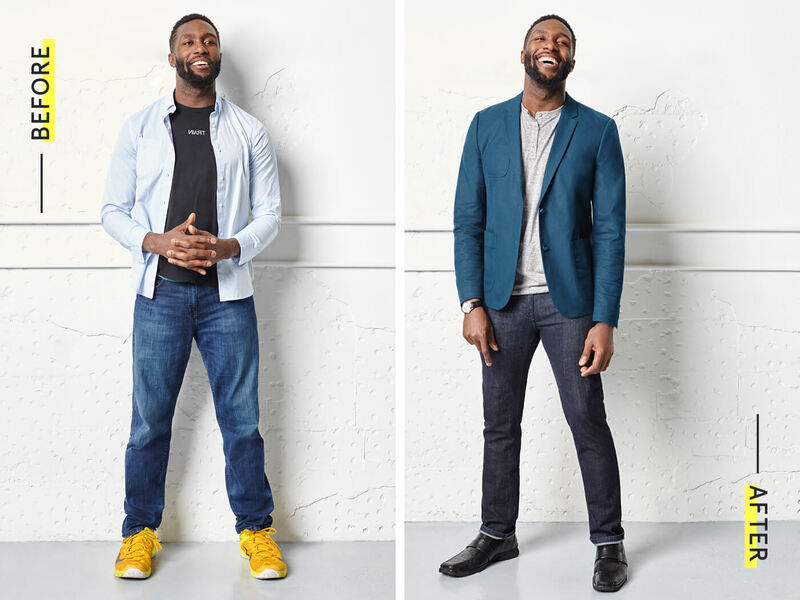 It’s amazing what the right-fitting jean can do for a guy’s look. So don’t robotically pull from the department-store stack just because they’re the size (or style) you’re used to. Not sure how to break the habit? Enter: Our trusted team of personal stylists. They know a thing or two about scoring the perfect jeans for your body type—and we have the before-and-after pics to prove it! See for yourself how fit makes all the difference. 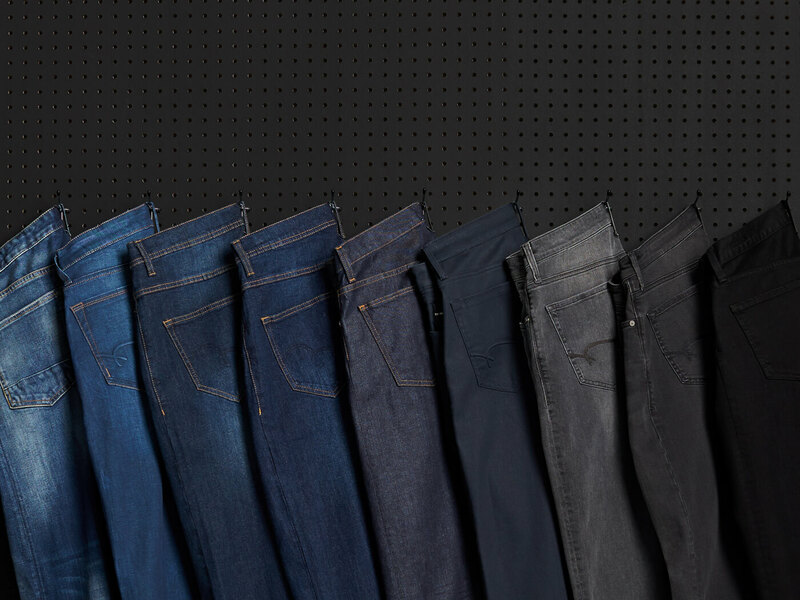 Keep reading for expert advice on finding jeans that fit, as well as before-and-after denim looks. Speaking of stretch, look for it in shirts, too. Many woven ones come in a cotton & Spandex blend, which can support your shoulder muscles. Watch out for the basket-weave fabric found in Oxford button-down shirts. It’s tighter and doesn’t allow much wiggle room. Pay attention to brands. European designers often have slimmer cuts and may feel constricted in the shoulder area. Not sure how to dress your slim build? For starters, stay away from relaxed jeans that are too long. Always opt for a tailored jean with just enough length for a half or full break. To serve your slender frame, you actually have a bunch of options. 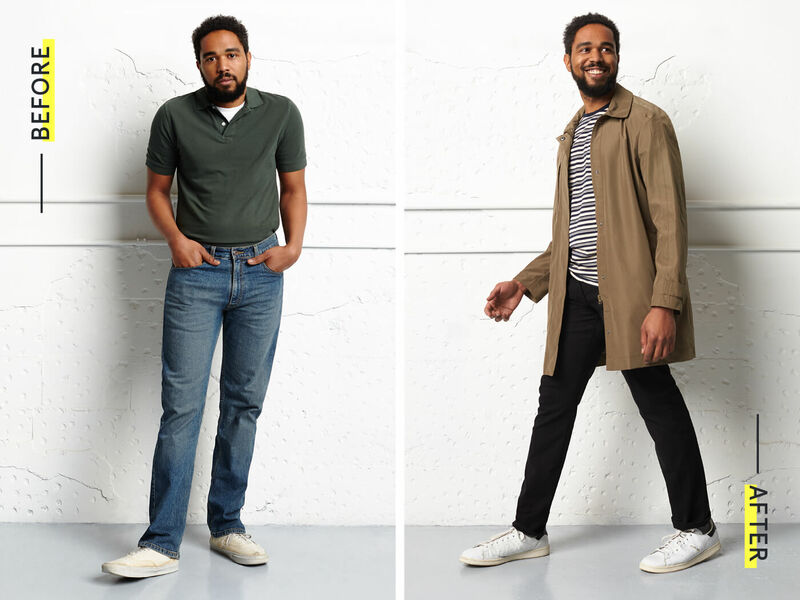 Slim jeans and straight-fit styles work best for smaller builds. Skinny jeans are great as well, but avoid styles that taper in at the hem. They’ll only make your legs look even slimmer. Make sure your sleeves and inseam are long enough so you don’t appear to be wearing your little brother’s clothes. Clothing should drape closely to the body without billowing or slumping at the shoulder. Stock up on slim-fit shirts. Since you likely carry less weight in your midsection, slim cuts emphasize your frame in a positive way. Be mindful of trying relaxed-fit jeans―they can overwhelm your bottom half, especially when paired with a slim-fit shirt. Our Stylists recommend going with a low rise or a tapered pant. Details are everything! Try a raglan sleeve, quilted details or military styles to create broader shoulders. Layering is simple. Because an average guy’s build has natural symmetry, you’re able to layer much easier―than other body types―with sweaters, vests and blazers. Experiment with bold prints and patterns. Your proportions make it simple to rock patterns or horizontal & vertical stripes without them appearing stretched out or widened. We understand the temptation to reach for baggy jeans when you need a little more room. However, loose clothing can give the illusion you’re actually bigger than you are. Instead, our Stylists suggest you opt for a classic fit in an updated, sleek cut to balance you out. “The key to this build is to even out your proportions and draw attention to the top half of the body,” advises Stylist Talleda R. It’s best to avoid extra details in denim, like whiskering or fading. Buttons and fastenings should be clean and streamlined to avoid that extra bulk. Lastly, dodge details, like colored belts, that draw attention to your midsection. Eyes up here, please. Choose two-button jackets and shirts with a “V” to help elongate your chest. Focus on tailored styles like structured jackets and blazers in a modern fit. They will help streamline your torso and define your shoulders. Ready for jeans that suit your build? 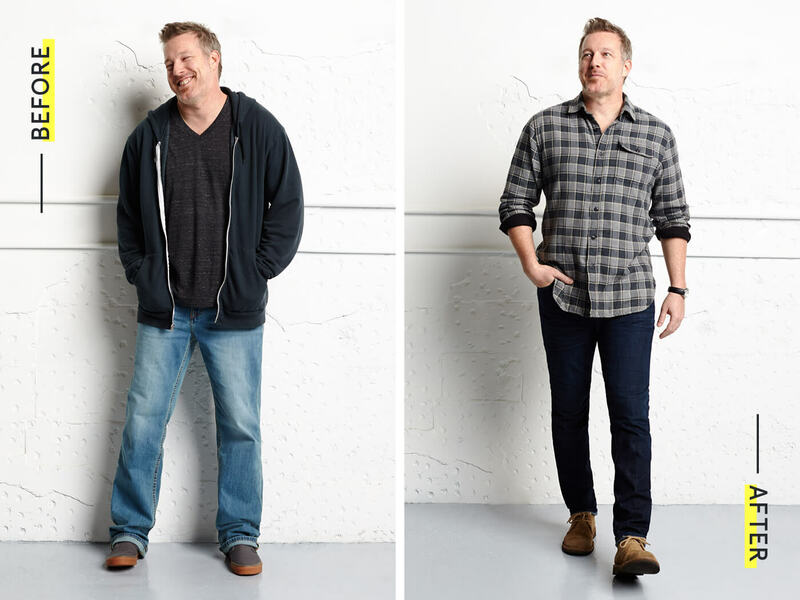 With inseams starting at 28″ and sizing up to 3XL, Stitch Fix Men has you covered.